Ron and Maggie Tear Photography: The Eye at night. 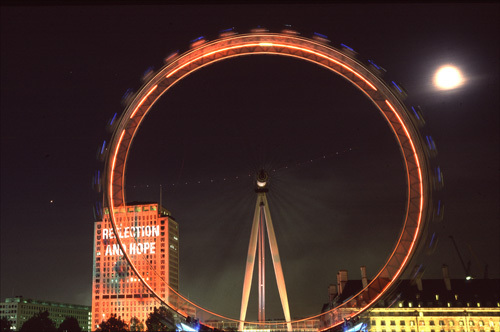 The London Eye lit for Armistice Day. The Shell building beyond lit with a rotating poppy. The eye itself had the pods lit blue. A one off event but by no means the last. The London Eye, Sth Bank, London.UK.